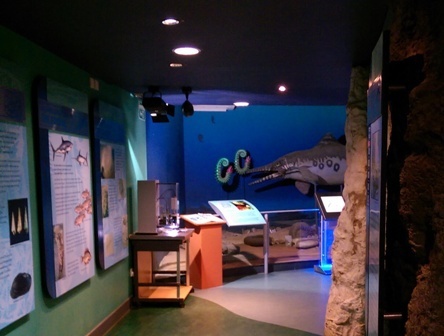 The pterodactyl shaped Dinosaur Isle museum is an evolving interactive experience looking at the geology and fossils of the Isle of Wight. You may wonder why there's a dinosaur museum on this tiny island. 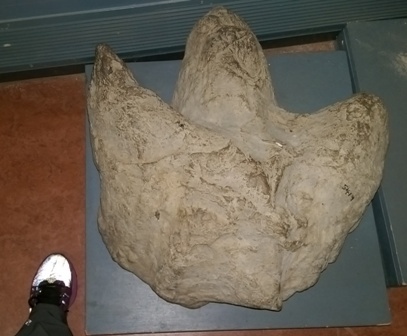 Well, the Isle of Wight is one of the best sites in the world for dinosaur finds and at least 15 species of dinosaur have already been found here including Iguanodon, Neovenator, Valdosaurus, Hypsilophodon and Baryonyx. One of the best things about Dinosaur Isle is that it is right on the footsteps of Dinosaur bearing rocks. Many of the dinosaur bones in the museum have been found on local beaches, so once you've absorbed all the information inside you can cross the road and start looking for your own fossils on the beach. Your journey through dinosaur Isle may start in 21st Century but very soon, as you travel back through millions of years, you will find yourself walking through Ice Age Isle of Wight 10,000 years ago, all the way back to the cretaceous period 120 million years ago. 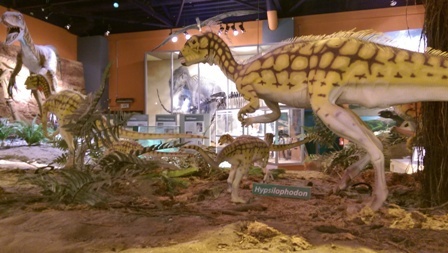 The first part for the museum takes you through a fact-filled, atmospheric, winding corridor with exhibits, hands-on activities and real fossils you can touch. Don't rush past this on your way to the dinosaurs, there is a ton of information to glean in this section from how the rocks are aged to all the other types of fossils you can still find on the Isle of Wight today, and where to find them. As you arrive at the end of the Ice Age 10,000 years ago, when only a few animals could survive these arctic conditions, you will see the display cases featuring mammal bones, from bison skulls and hippopotamus teeth to the tusk of a straight tusked elephant. When you reach 40 million years ago you will discover that the Isle of Wight was a swamp at the edge of a subtropical sea leading to France. Turtles, alligators, crocodiles, mammals and plants left their remains from this time. The sound effects of a storm play out as you journey even further back to 50 million years ago when not only the Isle of Wight but most of England, Northern Ireland and low lying parts of Europe were covered by a shallow sea. 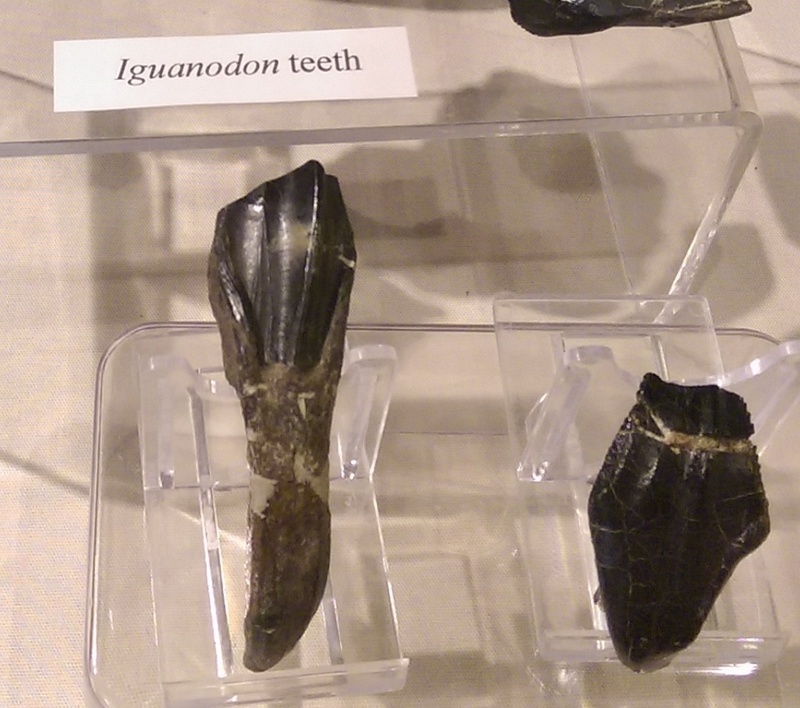 At this time more than 50 different species of shark swam in the waters around the Isle of Wight leaving their teeth to fossilize on the sea floor. Along the way there are interactive activities for children, who will love the sand pits where they can excavate their own fossils and put together a wooden jig-saurus. They can even zoom and focus with a microscope on any one of the seven pre-prepared specimens, which range from a fossilised bird's feather to dinosaur eggshell. Another 70 million years further back and you meet the dinosaurs in a large hall with life sized models and dinosaur fossils. Informative, well-lit display cases with clear identification labels and specimens visible from the top, front and sides of the cases enhance the experience around the reconstructed landscape. You can even visit the lab and hold fossilised poo or stand beside dinosaur footprints and compare their shoe size to yours. If you have an interest in geology or a passion for dinosaurs you will easily spend a couple of hours in Dinosaur Isle and that's before you head to the beach to find your own dinosaur or join one of Dinosaur Isle's fossil walks and learn how to hunt for dinosaurs. The friendly and knowledgeable staff will even tell you where the best places to find fossils are today. When: April to August 10am - 6pm, September to October 10am - 5pm, November to March, 10am - 4pm, Last Admission one hour before closing. Closed: 24th, 25th, 26th December and 1st January. What an interesting article, Fiona - welcome to WEN! Great article! 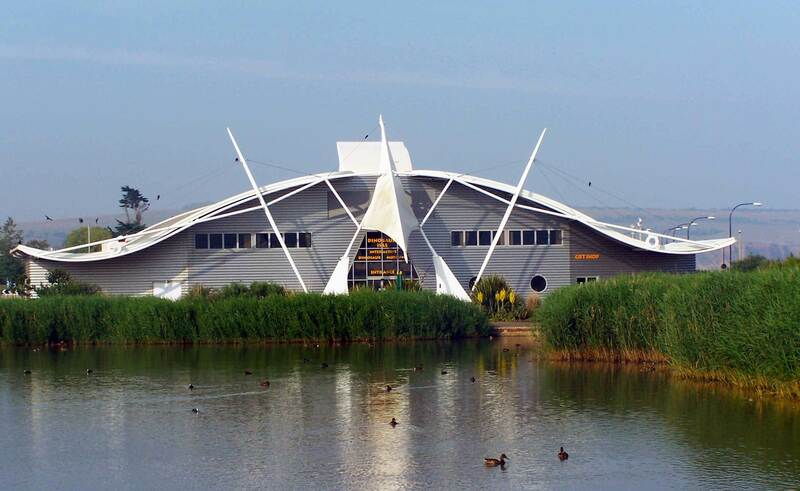 This is somewhere I definitely want to visit, I had no idea the Isle of Wight was a great site for dinosaur finds, I also love the shape of this museum it's an excellent design.